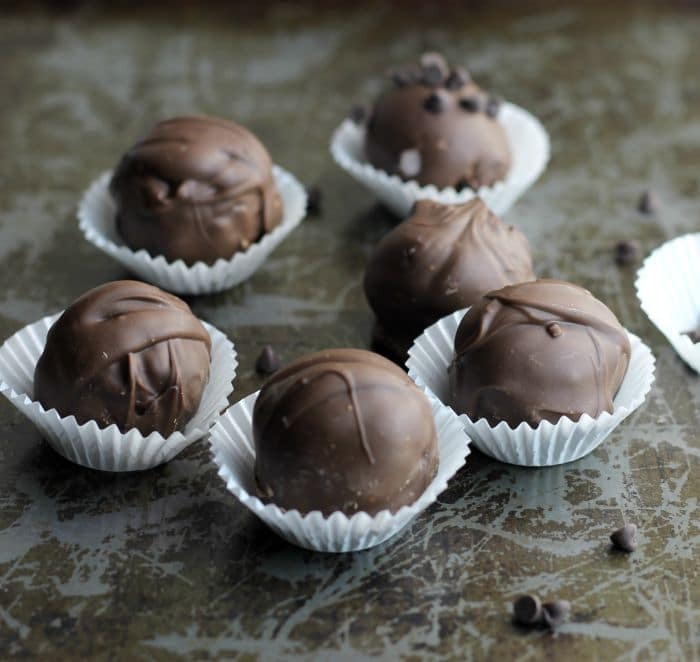 Chocolate Brownie Truffles made with only four ingredients makes a great Valentine’s Day dessert or chocolate lovers treat any time of the year. Chocolate brownie truffles a candy made with brownies, cream cheese, mini chocolate chips, and melted milk chocolate chips for coating the truffles. I could not let Valentine’s Day go by without a chocolate recipe. When I think of Valentine’s Day the first thing I think of is chocolate. Doesn’t everyone? I have had these chocolate brownie truffles rolling around in my head for some time now. And since Valentine’s Day is Wednesday I have waited to post until the perfect time. 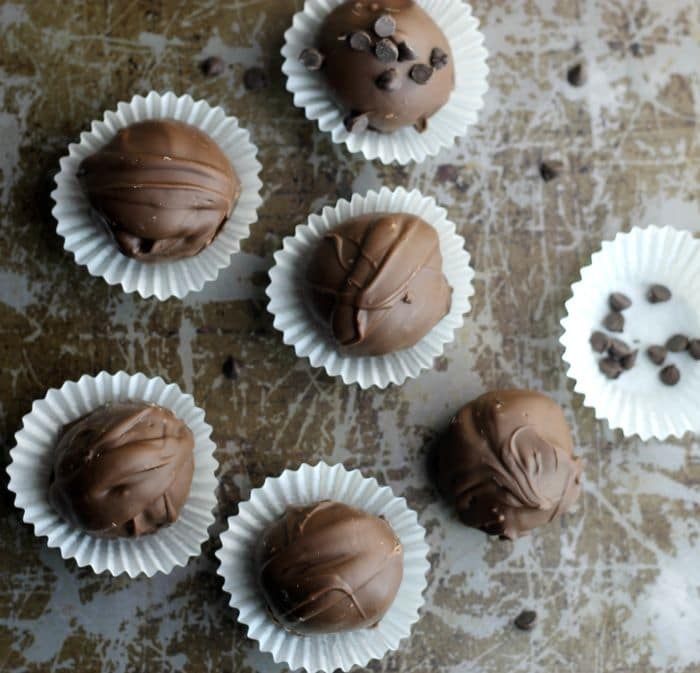 There really isn’t too much that goes into making these truffles. First of all, you will want to make your favorite brownies. I used this recipe that I posted a short time ago. Next comes to breaking up the brownies into crumbs, and then mixing in cream cheese that is at room temperature, then for a little more chocolate add some mini chocolate chips, and then lastly dipping the truffles into melted chocolate. When it comes down to recipes this is a quite simple one, and believe me, these truffles will be a hit with everyone. You may want to hide a few for yourself because before you know it they will be all gone. 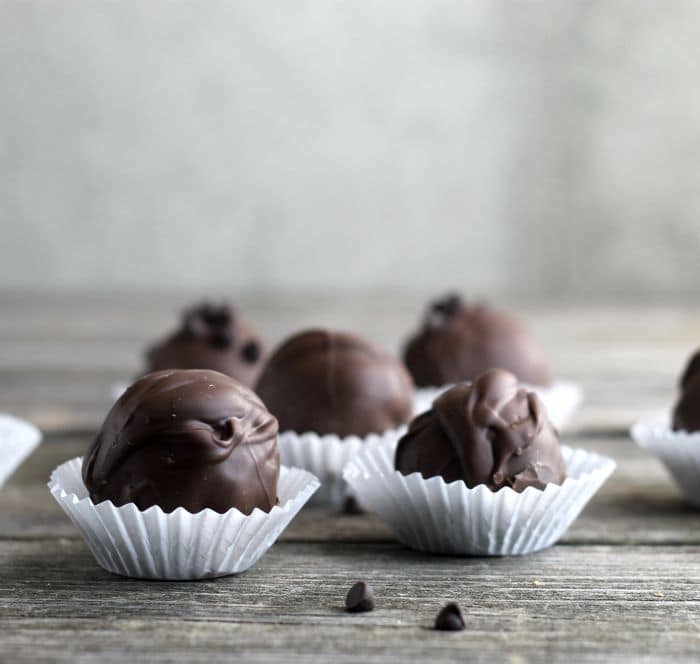 Chocolate Brownie Truffles made with only three ingredients makes a great Valentine's Day dessert or chocolate lovers treat any time of the year. Crumble the brownies into small crumbs with a fork or by hand. Take the cream cheese that is at room temperature and beat slightly. Add to the crumbled brownies. By hand mix the cream cheese into the brownie until well incorporated. 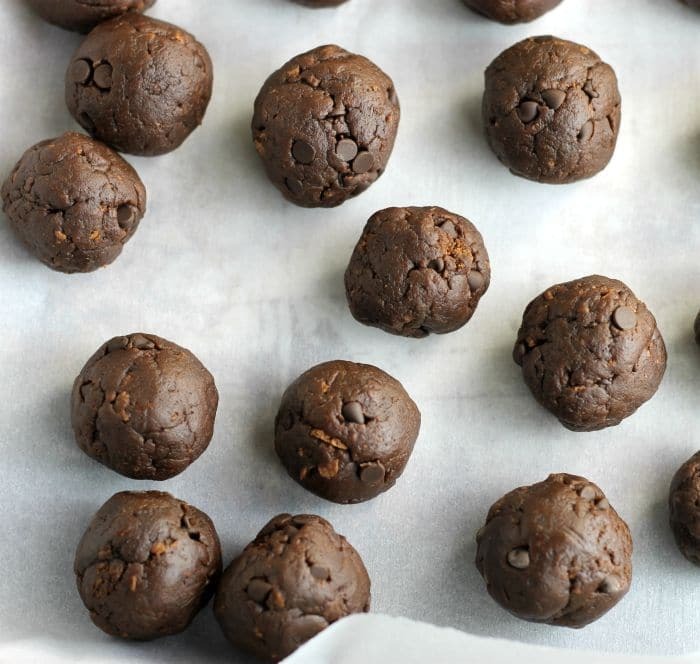 By spoonfuls roll the brownie mixture into balls. Place in the refrigerator for about an hour to chill. In a microwave, bowl place the chocolate chips and shortening and melt using the microwave. Heat for about 20 minutes at a time, make sure to stir after each time until the chocolate is melted. Using a fork dip the truffles into the melted chocolate. Letting the excess chocolate drip off before placing them on parchment paper. Place the truffles in the refrigerator for about an hour to harden the chocolate. They look wonderful! A perfect treat for chocolate fans, Dawn. but I never thought about balling them. LOVE it. Will steal it from you. Ha! Yup, chocolate and Valentine’s Day are best buddies! And this recipe looks like my newest best buddy — really terrific. Thanks! What a fun and easy idea, Dawn! Although, to be fair, I’m not sure I would be able to take a perfectly good tray of brownies and just crumble them up. Some of the crumbles might end up in my mouth…haha! YUM! I have no doubt that my family would gobble these up! So pretty AND delicious! !